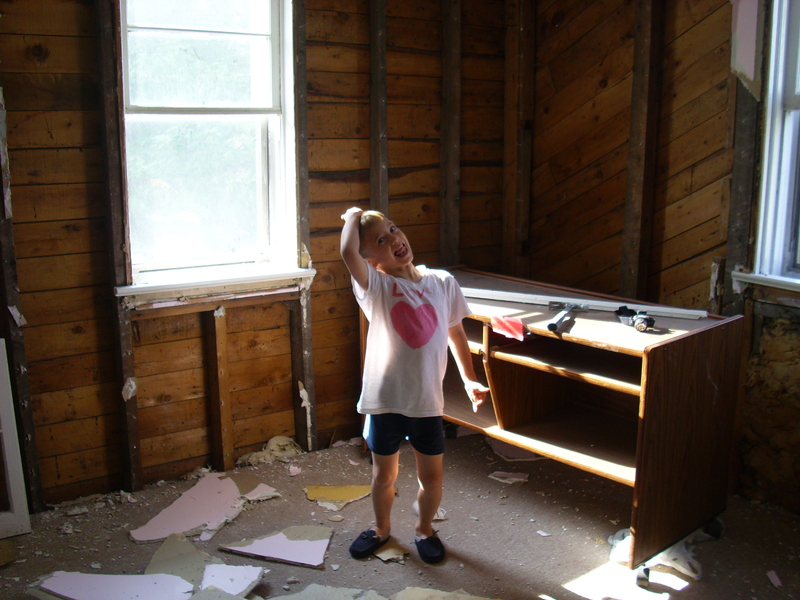 Josiah in his room after the demolition. The papers on the walls are scripture verses. Our house is lined with the Word of God. This is halfway through the renovations – we took a break for a while. 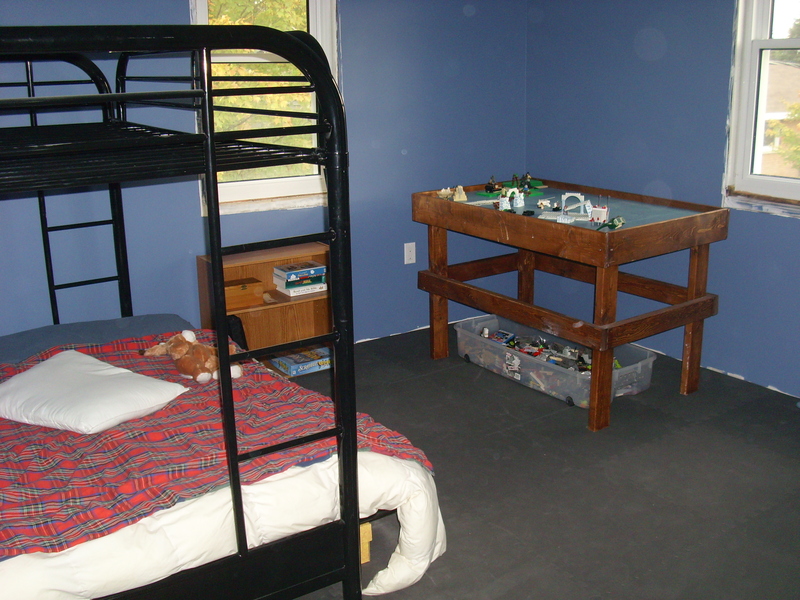 Josiah’s room has painted walls and a temporary floor made out of foam mats – perfect for young boys to wrestle around! 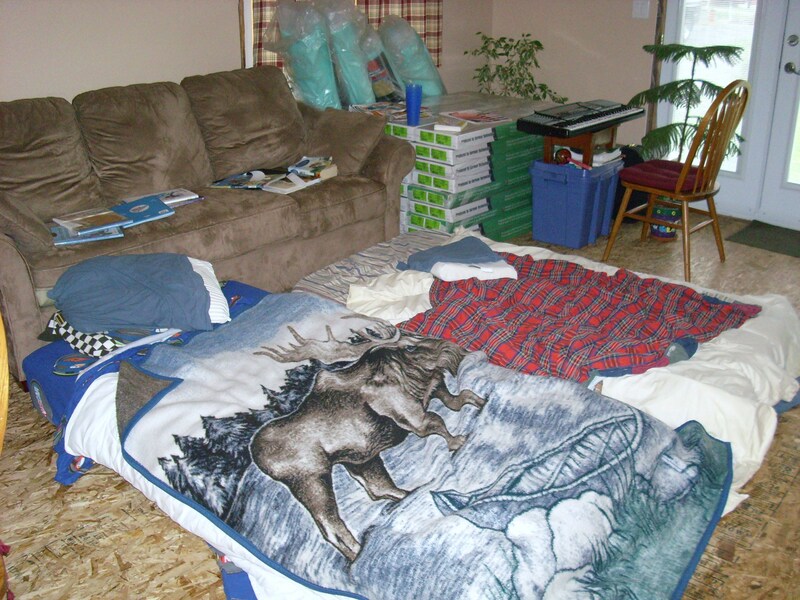 During the second round of renovations in the fall of 2010 he slept in the living room with his little brother. 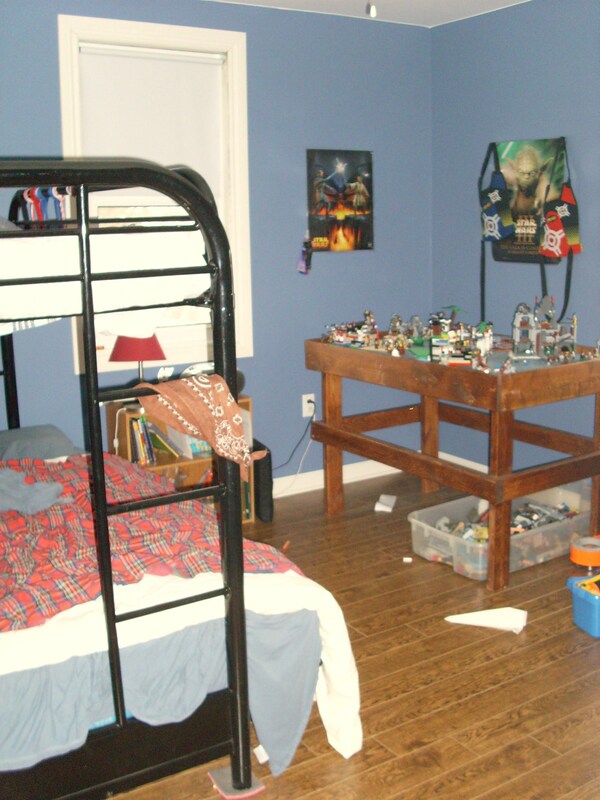 The work on the boys’ bedrooms this time around lasted about a month. I’m amazed how resilient children are and how anything can be an adventure. There was not a whole lot of complaining at all and they loved having the mattresses laid out for wrestling and jumping and other maneuvers. We also made cool pillow forts. 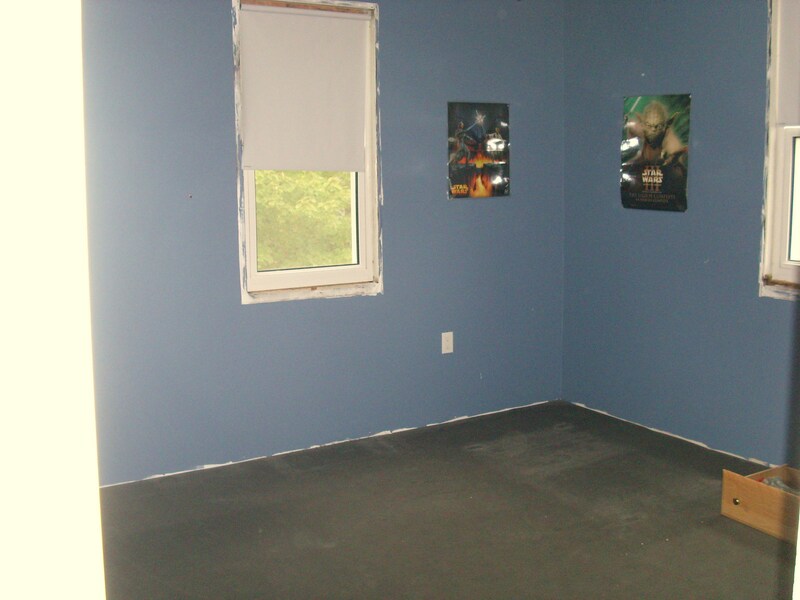 This is Josiah’s room emptied out and ready for real flooring and some trim. 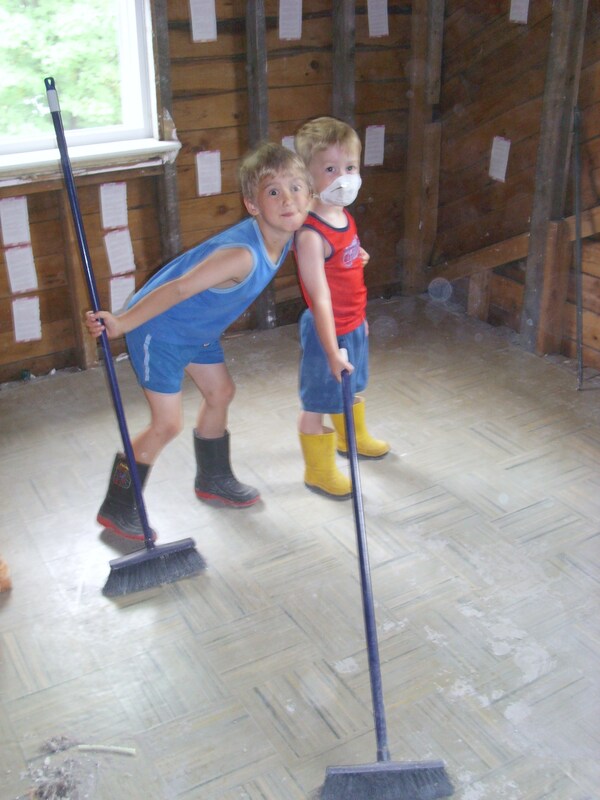 He’ll miss the foam mats in his room, but I’ll use them for the basement floor! 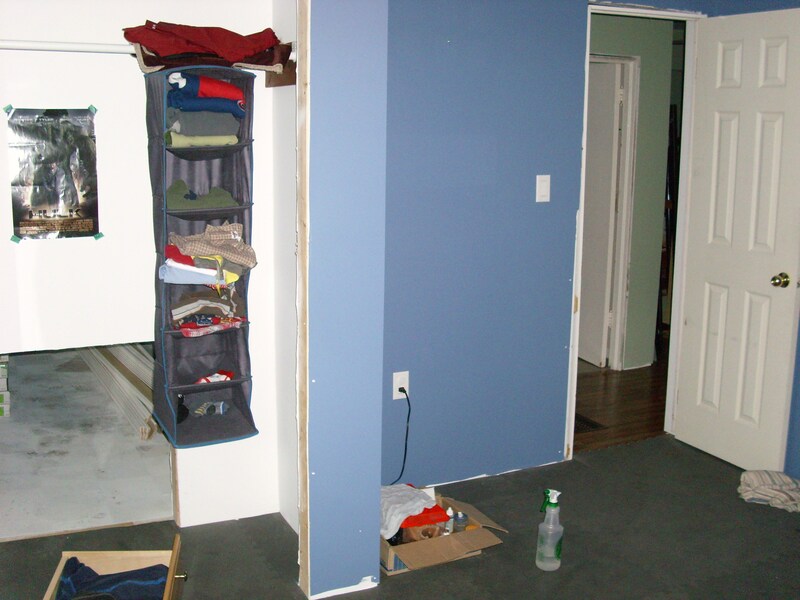 A look at the doorway and closet. 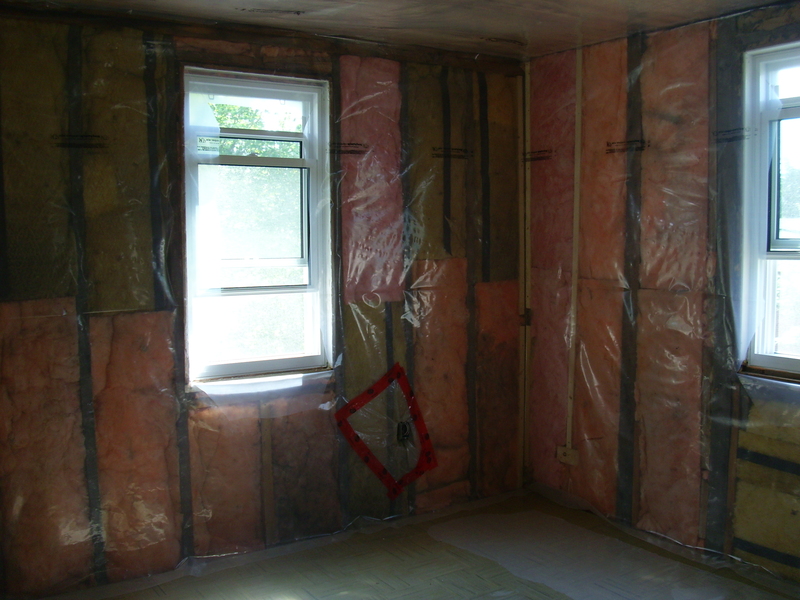 And here’s Josiah’s room all done with laminate and trim in place! Josiah is loving it! Especially now that no one is going to have to move his lego creations around again! 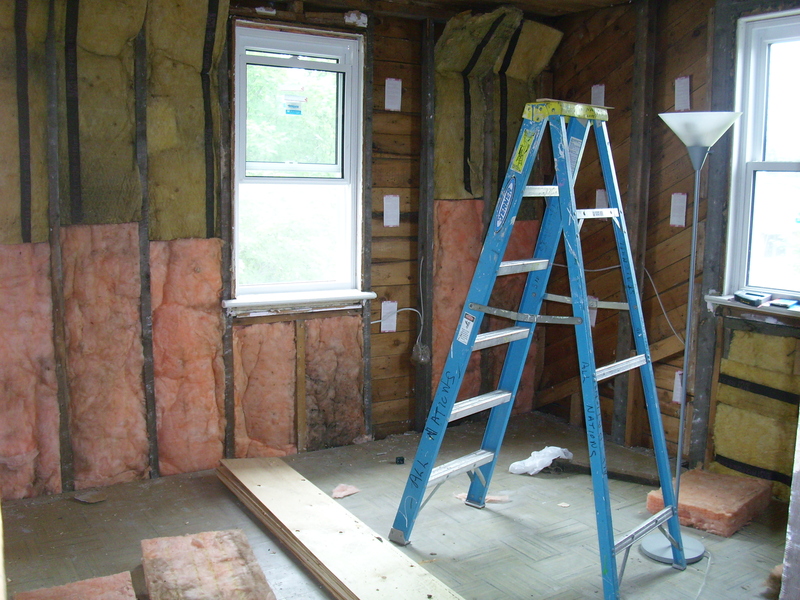 Praying that God will renew your strength through this time of renovation. I have seen the old home and am looking forward to the finished product. You both have hoped in the Lord for a solid home to raise your precious boys and I see that coming soon. Hang in there sista. Love you all.